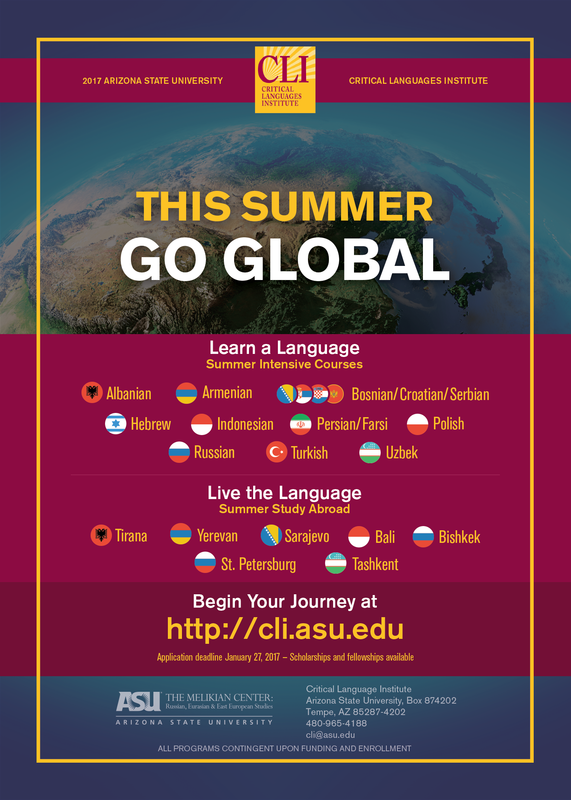 The Arizona State University Critical Languages Institute is accepting applications for its 2017 summer language and study abroad programs. CLI offers intensive courses in 10 critical languages and study-abroad programs in 7 locations. Participants earn 8--13 credits and cover a minimum of 2 semesters of material. Participants pay a flat fee of $900 (plus study-abroad fees if applicable) instead of tuition. CLI looks forward to welcoming you this summer.